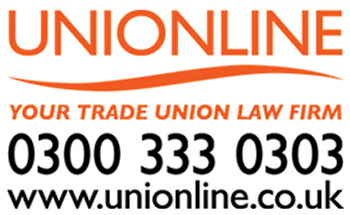 GMB London Region have called on Barking and Dagenham Council to explain why Be First (Regeneration) Ltd, a company 100% owned by the Council, is over three months late in filing accounts, following a First Gazette notice on 22 January, the first step to being compulsorily struck off. Despite the company’s striking off action being discontinued the following day by Companies House, the Barking and Dagenham owned company have still failed to publish their accounts made up to 31 March 2018, which were due on 23 November 2018. Be First is the brainchild of Barking and Dagenham council leader Darren Rodwell and chaired by Lord Robert Kerslake. Its aims are to ‘accelerate regeneration’ in the borough and ensure that ‘50,000 new homes are built, and 20,000 new jobs created in the next 20 years.’ The company has already greenlit construction projects including a film studio and the redevelopment of the old Abbey sports centre. “GMB are concerned that Be First have failed to file their accounts up to March 2018 despite having greenlit so many ambitious projects in the borough. “A notice published the day after the companies First Gazette notice, stating that striking off action has been discontinued claimed that ‘cause had been shown’ why the company should not be struck off the register. However almost 2 months later still no accounts have been filed. GMB would like to know what the ‘cause’ is and why it is not public knowledge.